What a delightful mystery. I don’t even know if I’d call the genre romantic suspense. It’s almost a cozy. 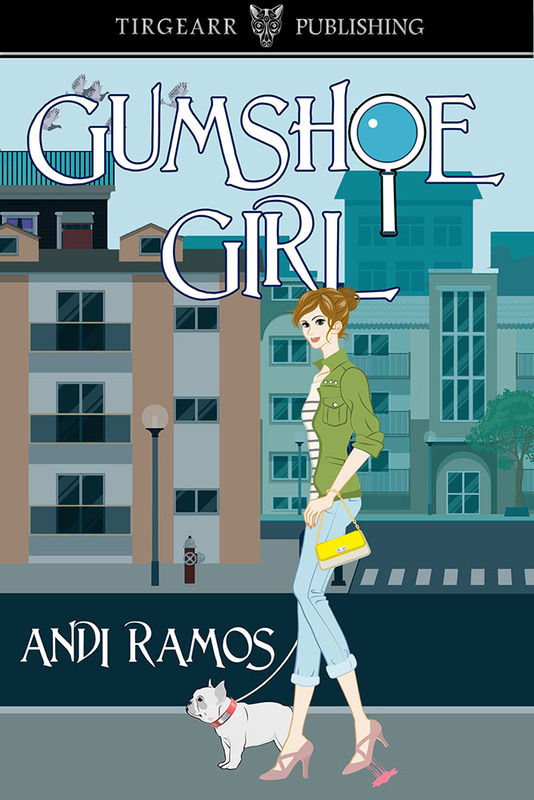 It’s your everyday mean mad cop, well maybe cute FBI agent in this book, who picks on a cute, very funny female Private Investigator type of story. But this is a fast-moving full of action mystery. The characters here are well-defined and easy to see in one’s mind. There are three or four quite important characters and yet every one of them has his or her own distinctive personality. Being able to “see” a character as I read always makes a story much more enjoyable for me. I did find 8 or 9 typos, more mixed up words than typos and this sort of thing ruins my reading rhythm, but this is a really good book. I’d be glad to send my typos to the author/publisher at any time. Would sure not want a few mix-ups to ruin such a great start for this author. The setting is great. The complete picture of a new memorable character is perfect. Easy to read and definitely the start of what I hope will be a series to come. Kudos to Andi Ramos. “What are you doing here?” he hissed. “Why are you here? Go, now!” His voice was forceful, not the meek squeaky tone he’d used that morning. Just then a tall, slim, middle-aged man flung open a door across the room. He looked angry, and seemed more irritated when he spotted the two of them. “Lewis, what are you still doing here?” He approached the pair. “Weren’t you off the clock a half hour ago?” There was a lot of tension in his voice. “I was just leaving, sir,” Lewis squeaked. “Who the hell is this?” He gestured to Sheagan. The man was wearing an expensive suit, but his tie knot hung out of place to the side. He was red-faced and perspiring. Sheagan saw him clench his teeth as he put his arm around her and pulled her close. “She was running late picking me up,” he added. He held his hand up for her to stop talking, which was just as well since she didn’t know how to finish the sentence. He guided Sheagan into the elevator, and stood on the opposite side. He kept his head down and didn’t say a word. He looked up and glared at her through his wide-rimmed glasses. She saw the muscles in his jaw tighten. “Don’t!” was his only reply. As soon as the door opened, she scrambled out of the elevator. Sheagan flew through the outer doors and to her car as quickly as possible. She didn’t notice which way Lewis went, and didn’t care. AUTHOR Bio and Links: Andi will be awarding a $20 Amazon or B/N GC to a randomly drawn winner via rafflecopter during the tour. goat, and Boston Terriers. Her love for reading grew into a passion for writing. 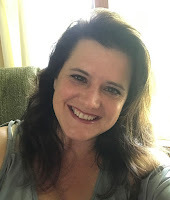 She dabbled with pen and paper for a long time and eventually stopped pushing her amusements aside and started developing those stories into novels. One of her favorite things to do is to hop into her motorhome with her family and write while traveling down the road as they journey to various destinations. Thank you for hosting and for your review. I am excited you enjoyed my story! I would love to answer any questions, just comment below. Thanks for the review. I'm glad you enjoyed the story. I honestly wasn't sure if the book was a romantic suspense. The cover had me thinking it was a cozy mystery. Hi Kim, It's such a fine line- a few words here and there put the book into a different category...Even though the heat level is not that high, it was too high to be considered a cozy so I am in the romantic suspense category!